Sky Cargo is a leading Global Logistics provider, formed in 1987 with mission to be the premier global provider of integrated logistics, transportation, information solutions and trade related services and being molded into a “TOTAL LOGISTICS SOLUTIONS”. Sky group has developed a team of experts who know your industry, understand your priorities and respond to your unique needs. From vendor management, inventory control and systems development to packing, special handling and distribution, our experts use their knowledge to create tailored solutions for your specific needs. Being a leading forwarder with experience has developed integrated network of air, sea and overland. 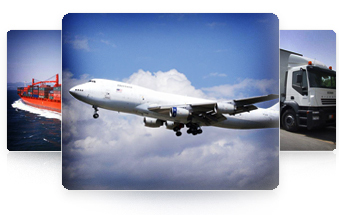 Years of experience to work as an exclusive agent with world leading freight forwarder with particular emphasis on export and import of cargo NVOCC and IATA agent. As being a top rated agent and well equipped offices in major cities of Pakistan we play an essential role in our customer’s business by integrating a worldwide resource of Air, Ocean, Ground and Value added services with innovative information system to provide a complete management of entire supply chain.